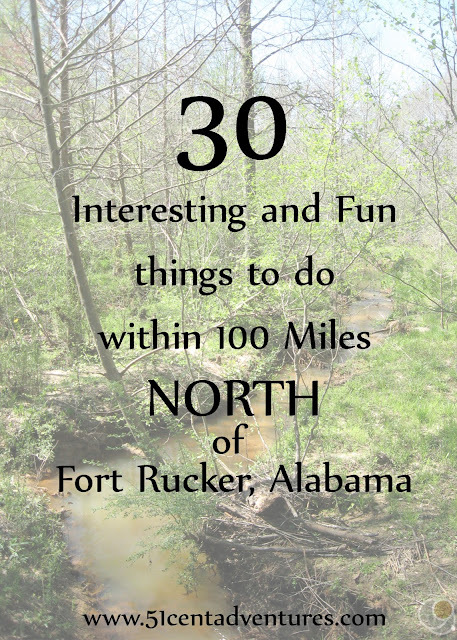 This is the north part of the 100 Things to do within 100 miles of Fort Rucker: The Ultimate Day Trip List. Make sure you also check out the lists of things to do East, South, and West of Fort Rucker. A few reminders about this list before we get started. I've listed these places in order of distance from the Fort Rucker Aviation Museum. Also, these places are all within 100 miles driving distance, not as the crow flies. Thanks to Fort Rucker's rural location you have to travel on twisty back roads to reach towns that wouldn't be that far away if there was a straight road leading to them. Cost: The museum is open to the public and free of charge. This art center was created as a place to develop and promote local artists. The center hosts shows and displays art from local artists. Classes are held on a regular basis to help teach art techniques. The center even offers free art classes for children over the age of 5 on Saturday mornings. Eagle Aviation is the perfect place for flight students to rent an aircraft to take their family members on a flight. Many students make sure to book a flight so they can show off their skills when family members are visiting for graduation. Hours: Sunrise to Sunset - Open 6 days a week. Closed Wednesday to fishing, but the pedestrian trail is still open. This lake is located just north of Ozark and is a great place for fishing and boating. You can rent a boat and all the gear from the Bait Shop. Packages start at $30 for one person. 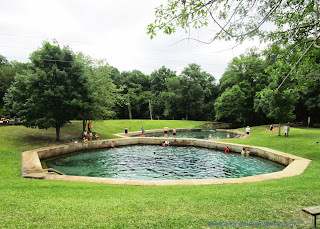 The main attractions in this state park are the duel swimming holes. These holes are fed by springs with a water temperature of 68 degrees. That's a bit chilly for springtime, but is wonderful in the summer. If the water is too cold you can enjoy the trails around the area. Cost: Prices vary, contact the company for exact prices. Hours: The theater houses many different shows throughout the year. Check the website for the schedule. This community theater preforms depression area stories in order to pass them on to future generations. Other events are also held here. Cost: Varies, check the website for exact prices. Hours: Varies, check the website for exact dates and times. Throughout the school year student at Troy University perform various dance and drama shows. This is a great way to see good stage productions at a great price. This art museum seeks to promote the arts among all people. Exhibits and shows are often held at the Johnson Center for the Arts. Cost: Various price packages, contact company for details. This is a high adventure center with a multitude of things to do to get your adrenaline rushing. They have a climbing wall, escape room, outdoor laser tag arena, and a zip line course made up of 12 zip lines. They provide different many different adventure packages and will work with your group events. Cost: $6 for Adults, $4 for children age 4-college, and free for children age 5 and under. There are military discounts available. There are many historic buildings on this property. There are also demonstrations of what life was like for early settlers of Alabama. The area is near the Conecuh River so there is plenty of nature around as well. Inside the museum are hundreds of well preserved artifacts from pioneer times. The items range in size from sewing needles to a cotton wagon. Cost: Admission: $12.00 Children 2 and under are free when accompanied by a full price adult. This charming farm is a wonderful destination for relaxing in the country. The farm really comes to life in the fall when they have a pumpkin patch as well as many harvest themed activities. Union Springs has many historic homes and buildings. One of the most prominent is the Josephine Arts Complex. This building offers many different tour packages - including a ghost tour. 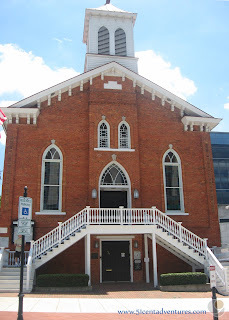 One of the tours will take you out onto the streets of Union Springs where you will learn about all the buildings that give this town it's southern charm. The zoo boasts many exotic animals - some of whom even do tricks. Cost: $5.00 per person for adults during regular hours $3.00 for ages 5 - 12 Free for children under the age of 4. Hours: Monday through Saturday from 10:00 am until 4:00 pm. Eufaula Avenue is lined with stately southern mansions - most of them are only available for tours during two weeks of the year. However the The Shorter Mansion is open for tours all year long. This historic home is the center of the Eufaula Heritage Association. During a week in the spring and at Christmas time many of the stately homes on main street in Euphuala open their doors and offer tours. This is known as the Eufaula Pilgrimage. If you love old homes you don't want to miss this event. There are daylight tours as well as candlelight tours available. Cost: $4 day use fee. Other things like camping or boat renting cost additional money. This state park offers it all. 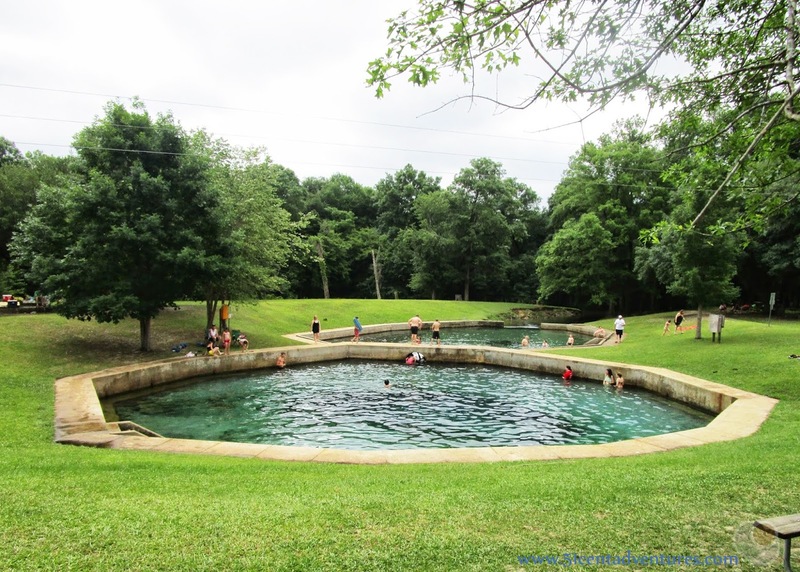 Located on the shores of Lake Eufaula it provides opportunities everything from swimming and boating, to hiking and camping. There is even an event center with hotel rooms available. This refuge was created as a place for animals, but there are a few things that people can do there too. The visitor station has displays and there is a driving tour through the refuge so you can have a chance to see wild animals. Hunting is allowed in the refuge during certain seasons. This state park is located upstream from Lake Eufaula on the Chattahoochee River. There are plenty of boat launch areas and docks. On shore there are picnic areas, campsites, and even cabins. 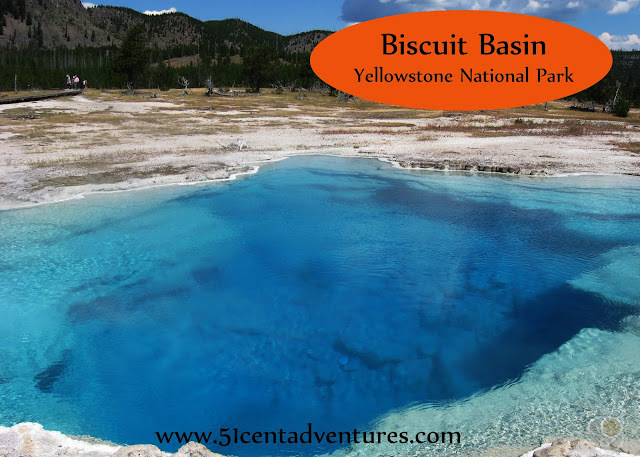 This is one of the must see attractions in the area. 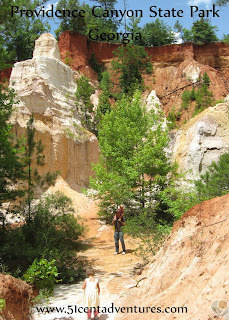 Providence Canyon State Park started out as a ditch in a farmer's field. Overtime that ditch and others eroded into steep-cliffed canyons with red and white walls. It all looks like something you'd expect to see out west in Utah or Arizona, but instead it's just over the boarder in Georgia. You can enjoy the view from the canyon rim or get up close on one of the many trails through the canyons. There are picnic areas as well. Read about my family's visit by clicking here. Hours: Monday-Saturday, 9:00 am to 4:30 pm. It is closed Thanksgiving, Christmas, and New Year's Day. The Tuskegee Institute was founded by Booker T Washington in 1881 as a place for African Americans to have a place for higher education. George Washington Carver joined the institute in 1896. You can visit the George Washington Carver Museum and see displays about his many uses for peanuts (peanut butter is just one of them.) Tours of The Oaks, Booker T.Washington's historic home, are available Tuesday through Saturday at every hour from 9:30 to 3:30. During World War II the Tuskegee airport was the site of the Army's experiment to see if African Americans could learn to be airplane pilots and servicemen. The student pilots preformed admirably and their work contributed to the decision to desegregate the Army in 1948. 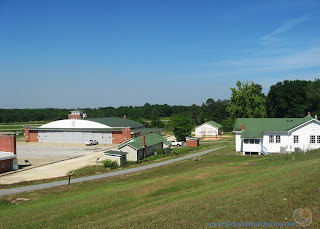 Today you can view items and aircraft from that time as well as see the buildings where the men trained. This national forest is another place where you can go enjoy nature. There are places to hike, picnic, and even camp. Hunting is allowed during certain parts of the year. Cost: Admission is $10 per person, $5 for children ages 5 to 18, and free for kids 4 and under. Hours: Monday-Saturday, 9 a.m. to 4 p.m.
Near downtown Montgomery, this living history museum is a reminder of a simpler time in the state's history. There are historic buildings as well as demonstrations of what life would have been like for the early settlers of this city. Situated on the banks of the Alabama River, Riverfront Park is one of the best parts of Montgomery. You can walk along a paved path near the edge of the water. 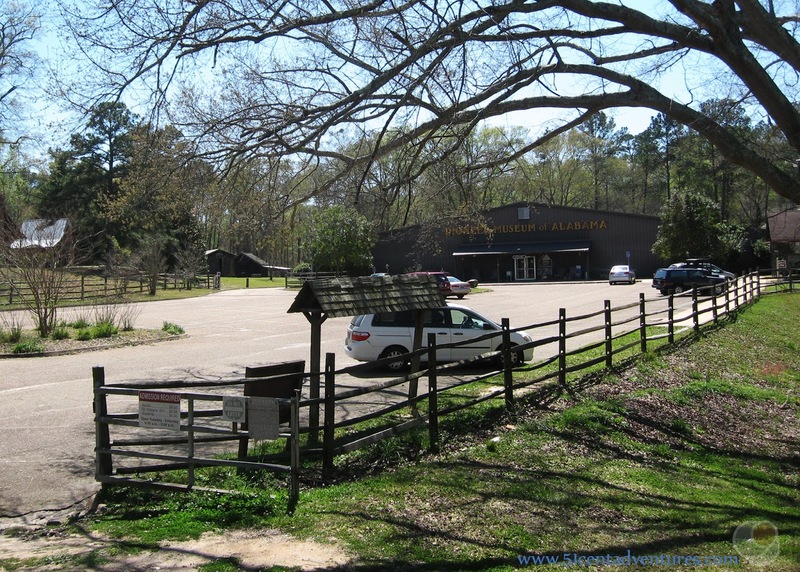 The park is located behind the historic Mongomery train depot and train shed. The park has a splash pad and an amphitheater. Throughout the year different cultural events are held at the amphitheater. Most of them are free. 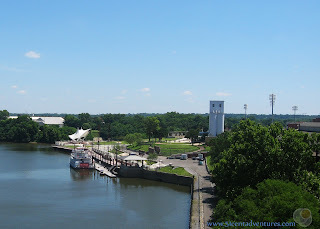 The Harriott II Riverboat docks next to the Riverfront park and offers fine dining on the water. Hours: From Monday to Friday self-guided tours are available to individuals and small groups from 9:00 am to 4:00 pm. On Saturday only guided tours are available at 9:00, 11:00, 1:00, and 3:00. Closed Sundays and state holidays. So much history happened at this capitol building. 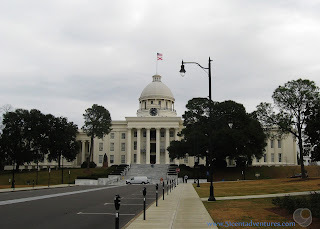 The building was the first capitol building of the Confederate States during the civil war. 100 years later the steps of the capitol were the ending place of the Selma to Montgomery March in 1965. There are monuments to these and other important events all over the capitol grounds. Cost: The cost of a tour is $7.50 adults and $5.50 for children. Hours: During the week the church and the parsonage are open for tours. Tours are available on the hour from Tuesday through Saturday starting at 10:00 am. Reservations are required for the tours. 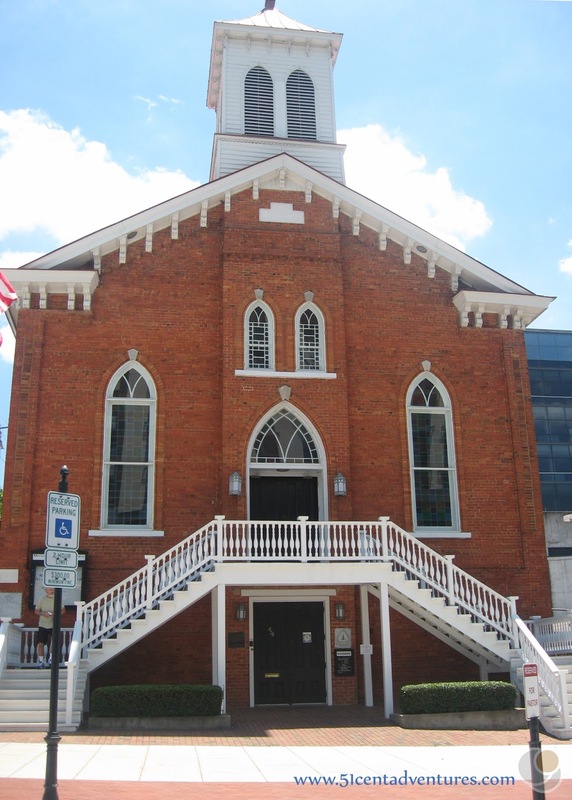 Dr. Martin Luther King Jr. was the pastor of this church from 1954-1960. From here he helped organize the Montgomery Bus Boycotts in 1955. The parsonage where Dr. King lived with his young family is located several blocks from the church. Its has been redone to appear as it did back when Dr King lived there. The address for the parsonage is 309 S Jackson Street. 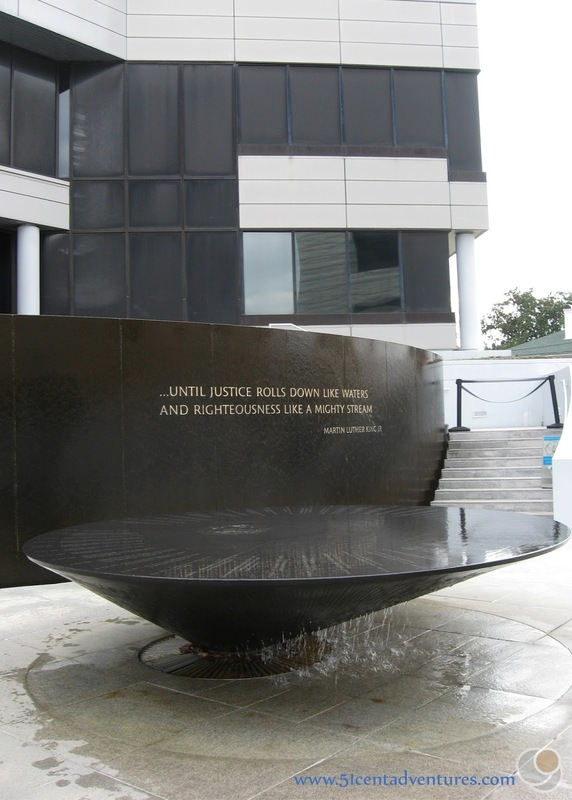 The Civil Rights Memorial is a black granite slab with water flowing across it. The names of people who were killed during the Civil Rights Movement are listed on the monument along with a chronology of important events. The monument is located in a open plaza across the street from the Southern Poverty Law Center. It is free to visit and always accessible. The Civil Rights Memorial Center is located behind the memorial. It features exhibits about the people who died during the civil rights movement. Hours: Sunday 2:00 pm to 6:00 pm, Monday through Thursday 8:00 am to 9:00 pm, Friday 8:00 am to 4:30 pm, Closed on Saturday. 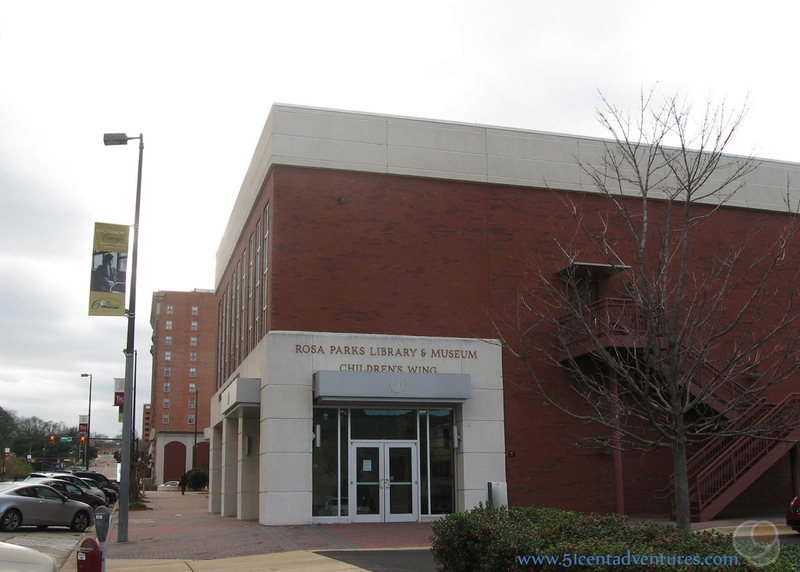 This museum is located on the spot where Rosa Parks famously refused to give up her bus seat to a white man on December 1, 1955. 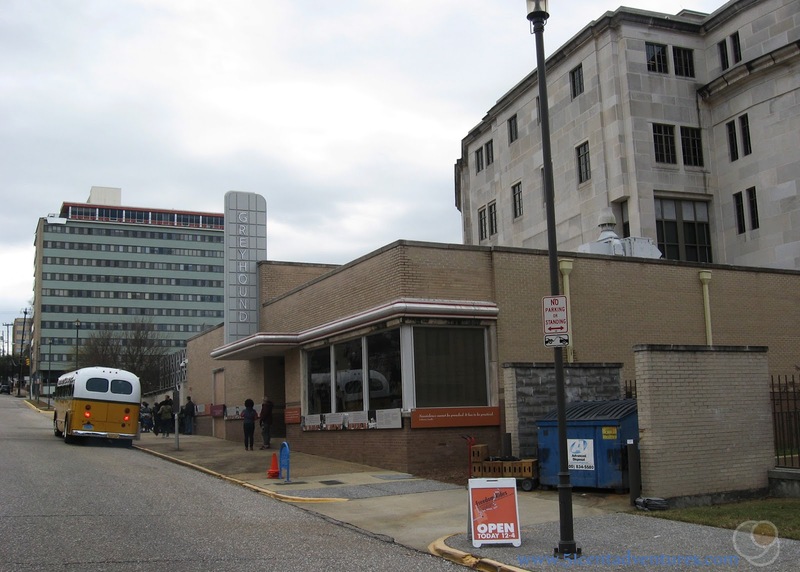 The museum seeks to remind everyone of the importance of that event and the bus boycott that followed. *Note: When my family visited we thought we'd only visit the children's wing of the museum. I was rather disappointed with what was offered over there. Hours: Fridays and Saturdays from 12:00 to 4:00. The Freedom Riders were a group of Caucasian and African American people who were attempting to highlight the fact that even though segregation was against the law it was still happening. They were trained in non-violent protesting, and they met a great deal of hostility as they traveled throughout the Southern States. This museum is located at the Greyhound station where Freedom Riders were brutally attacked by a mob in May of 1961. Hours: 9:00 am to 5:30 pm every day. The last admission tickets are sold at 4:00 pm. Of all the zoos on this list this is the one that is worth the money. Yes, it is slightly expensive (especially for a large family like mine) but the zoo is large and full of animals so it is worth it. Be prepared for to pay for extra things to do in the park. These include, $3 to ride the train, $3 to feed the giraffes, $2 to feed the birds, and $5 for a sky ride over the park. The Mann Wildlife Museum is located adjacent to the museum. Tickets cost $7 on their own, but only $5 with a zoo ticket. This museum is full of large animals like bears and deer that have been preserved through taxidermy. Read about my family's visit to the Zoo and Museum by clicking here. Hours: Dates and times vary, check with the website for prices. Riverwalk Stadium is the place to go for a baseball game. Hours: Fridays and Saturdays, 9:00 to 5:00, Sundays, Noon to 5:00. This expertly landscaped garden is full of Greek style status. It's a fun place to go for a walk and admire the beauty in both nature and art. The gardens also give one of the best views of the Wetumpka Impact Crater. 83 million years ago a meteor hit this area of Alabama and created one of the largest craters in the world. Unfortunately, the trees and other vegetation in the area make the crater hard to see. An interpretive center for the crater is planned, but currently doesn't exist. Tours are available during the month of February. Contact the Wetumpka Chamber of Commerce for tour info. Fort Benning and Columbus, Georgia are about 110 miles from Fort Rucker. 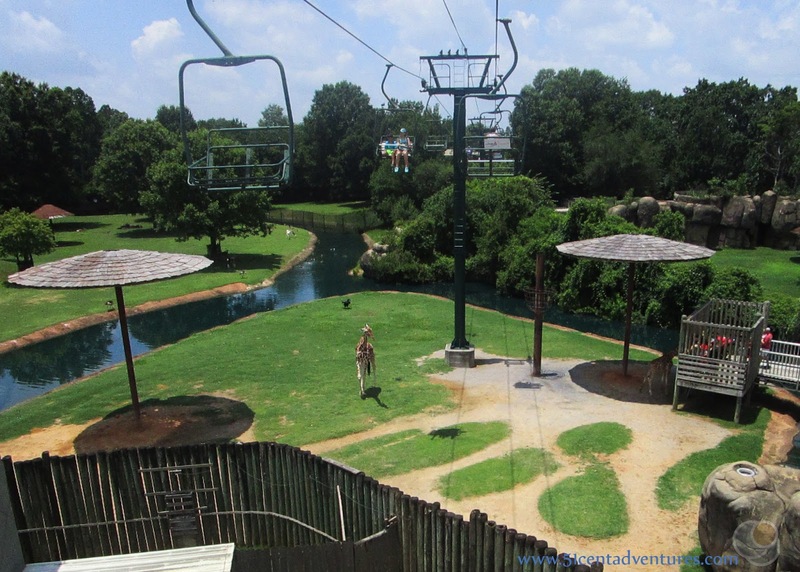 If you travel up there you might want to look into White Water Rafting on the Chattahoochee River, walking the Riverwalk in Downtown Columbus, Visiting the National Infantry Museum on Fort Benning, or camping at the Uchee Creek Campground on Fort Benning.